Carroll College’s Project Management Certificate provides the training to become a successful Project Manager. The program is open to individuals and currently-enrolled students. Monitor project progress to avoid delays and missed deadlines. The ability to define large projects correctly and then bring them to completion on time and within budget is a critical professional skill. Engineering, Business, IT and Environmental projects have critical needs in these areas, but almost any organization has projects that involve the stewardship of time and money to bring about change. Carroll has created a program that delivers industry standard content derived from the Project Management Institute’s Project Management Body of Knowledge (PMBOK®) and meets the educational needs defined by the State of Montana's Project Management Office. 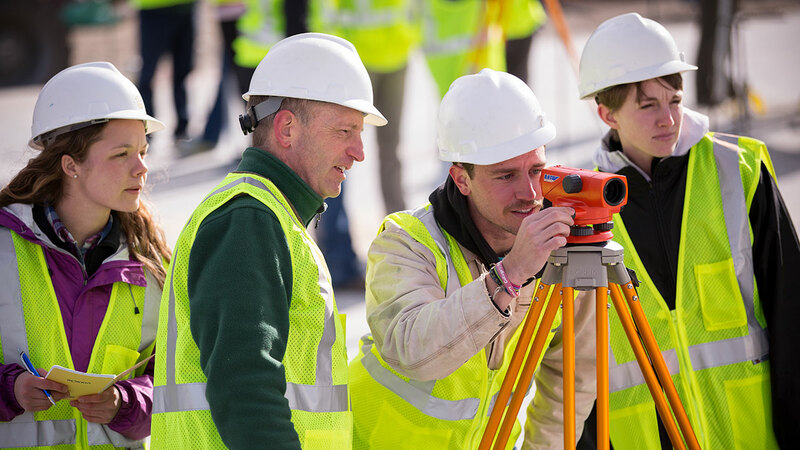 The goal is to offer professionals and students in the Helena and surrounding communities the chance to develop these skills and competencies in a high quality, real project based, comprehensive, program that can also be part of higher education degree. A project manager is the person accountable for accomplishing the stated project objectives through task segregation, sequencing, assigning costs and time frames, and monitoring progress. Key project management responsibilities include creating clear and attainable project objectives, building the project requirements, and managing cost, time, and scope. Project management tackles the teamwork and leadership issues that are part of moving projects and organizations forward successfully. Large projects are a part of almost any organization’s work. Successful project managers are well paid and highly sought after in the construction industry, engineering, architecture, information technology, telecommunication, and many other fields in the production, design and service industries. The Project Management Certificate is designed, similar to a minor, to allow students from any background to add it to their degree and skill set. However, as this program leads to a certificate in Project Management rather than a degree, students do not need a major to accompany it, making this a versatile option for Carroll students as well as community members looking to expand their skills and knowledge base. View the Project Management certificate requirements in the academic catalog. For more information about the Project Management Certificate program, contact Dr. Marie or the Registrar's Office at 406-447-5435. The Introduction to Project Management course sets the student's foundation in Project Management and meets the required Project Management education eligibility requirements for the Certified Associate Project Manager (CAPMA®) and Project Management Professional (PMPA®) certifications by the Project Management Institute. The strength of the Project Management Certificate program at Carroll is in its excellent faculty who bring their expertise in varied fields such as business, computer science and engineering. If you focused on just one of these areas, you would likely not understand how each is integrated in today's world. This certificate program makes that connection clear, with expert guidance on the latest techniques, innovations and technology to make real-life projects succeed, from start to finish.